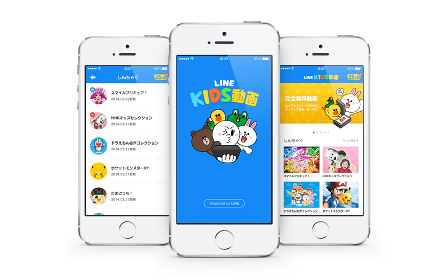 Messaging app Line is branching out into video content in Japan, where it has announced plans for an app that caters to kids programming. The Bridge reports that the app — initially for iOS, an Android version is due in spring — will include over 1,500 programs from 28 animation series, including Doraemon, Pokemon, and Thomas and Friends. Users will be able to watch for 40 minutes for free per day, beyond that they can pay 500 yen ($5) a month for up to 300 episodes or 400 yen ($4) for unlimited access to all episodes from any single program. As ever with Line, you’ll be able to earn credit by sharing content with your friends. As is the case with its shopping and news apps, ‘Line Kids Doga’ is for the Japanese market only, but it shows how Line has become a major social platform there. Like other initiatives, it might expand into other markets in the future.